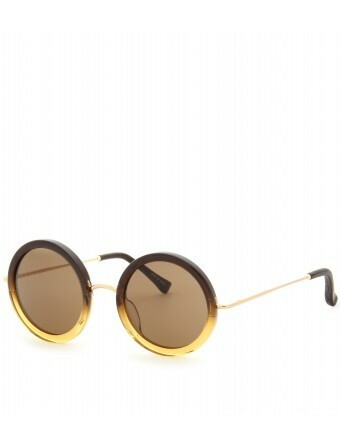 The retro evolution of 60s bug-eye shapes hit the runways and made a big splash, like these super-fun sunnies. Style 'em vintage with a playful citrus-yellow romper and wedges with a vintage satchel; perfect for an outdoor summer BBQ! Try them here, with ViewTry!